2. Why did the FDA approve two medications? Subutex contains only buprenorphine hydrochloride. This formulation was developed as the initial product. 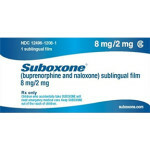 The second medication, Suboxone, contains an additional ingredient called naloxone to guard against misuse. Subutex is given during the first few days of treatment while Suboxone is used during the maintenance phase of treatment. 3. Will most prescriptions be for the Suboxone formulation? Yes. Suboxone is the formulation used in the majority of patients. Currently opiate dependence treatments like methadone can be dispensed only in a limited number of clinics that specialize in addiction treatment. There are not enough addiction treatment centers to help all patients seeking treatment. Subutex and Suboxone are the first narcotic drugs available under the Drug Abuse Treatment Act (DATA) of 2000 for the treatment of opiate dependence that can be prescribed in a doctor’s office. This change will provide more patients the opportunity to access treatment. 5. What are some possible side effects of Subutex and Suboxone? 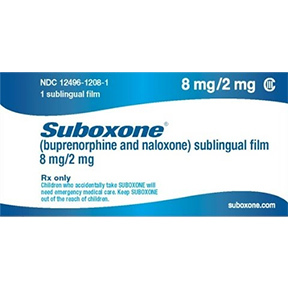 Like other opioids, Subutex and Suboxone have been associated with respiratory depression (difficulty breathing) especially when combined with other depressants. 6. Are patients able to take home supplies of these medicines? Yes. Subutex and Suboxone are less controlled than methadone because they have a lower potential for abuse and are less dangerous regarding a possible overdose. As patients progress on therapy, their doctor may write a prescription for a take-home supply of the medication. © Copyright by Medical X, Inc.